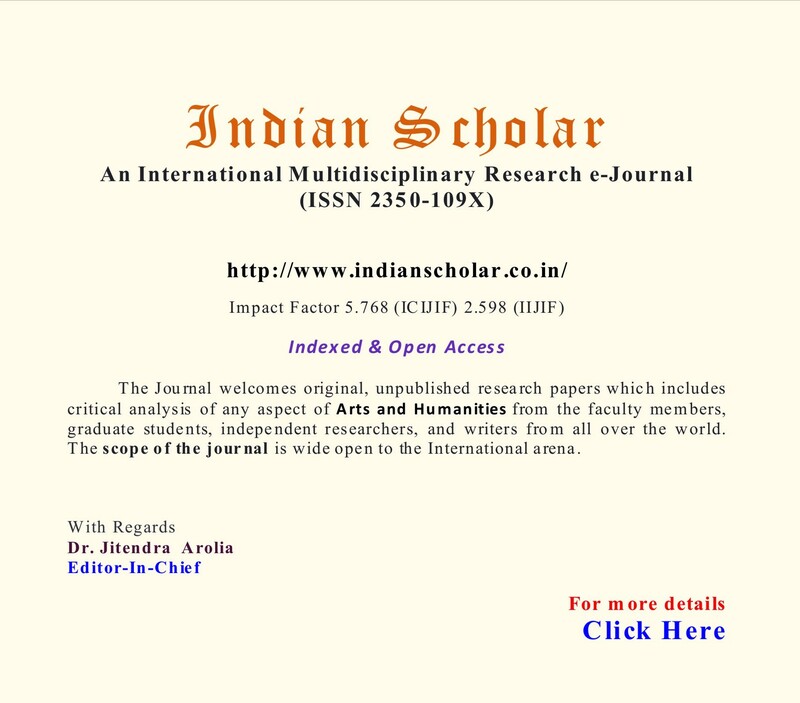 Research Scholar is an International peer-reviewed, open access, online journal, published quarterly (February, May, August, and November) and dedicated to the critical, scholarly studies of new and the established literature written in English. The Journal welcomes original, scholarly and unpublished research papers which includes critical analysis of any aspect of English Literature, essays, book reviews, interviews, original poems, short stories and translated works from the faculty members, graduate students, independent researchers, and writers from all over the world. The scope of the journal is wide open to the International English Literature, Post-colonial Literature, New Literature, Commonwealth Literature, English Language Teaching, Indian Writing in English, Applied Linguistics and TEFL and Literatures written in English. Welcome to Research Scholar and experience a change to bring about a change in the world through your innovative and intellectual thoughts. We hope you find it as exciting and vital as we do!